Get Ready with over 100 activities, stage events, panels, parties, performances and so forth taking place! Please Note Friday is a preview day only – the gaming building and extended areas are only open Saturday and Sunday. While there will be signups on the day, we advise to signup beforehand to guarantee a place if you’re entering the Talent Show, Cosplay Masquerade or Cosplay Auction. All other events you signup for on the day! Again read the link above for a comprehensive list! Please note that this is only an indication of what to expect, events being put on may change closer to the time. – Top Voice Actors of your favourite anime Expect a number of international celebrity voice actors attending. More details to be revealed! – Anime Viewing Room An entire room dedicated to anime viewing and chill-out where you can watch your favourite titles bought to you by MVM and Crunchyroll. As well as Anime there will be a variety of internet screenings from well known series such as DBZ abridged. – Manga Artists; Will be present as part of our Artists Alley. This will also include an area where you can sit down, draw and learn new art-tricks. – Anime/Geek Exhibitors; Expect a wide range of anime and gaming merchandise, DVDs, manga and more, as well as some of the UKs most well known manga and comic artists in attendance. A full list of exhibitors and artists in attendance will be released closer to the event. – Live J-Pop/Anime themed Performers; There will be several live performers from J-Pop, Anime inspired singers, bands and performers throughout the day. For a full list check out our guests. Cosplay returns bigger and better than ever with three massive competitions with top prizes, talks and workshops with some of the community’s biggest names from across UK and Europe, cosplay chillout gardens, a photography area and many fun cosplay events. Highlights include.. The Two Cosplay Contests (The Cosplay Masquerades) will see a prize pool of up to £100s of prizes between them up for grabs which includes a £100 cash prize for Sunday’s winner. There will be the cosplay masquerade on both the Saturday (3pm) and Sunday (3pm). Interested in competing? Go signup via this form HERE. Pre-Signups online are open until one week before the event. The top 3 placed winners from Saturday and Sunday’s Cosplay Masquerade will have the option of qualifying for the UK Cosplay Championship Finals at London Anime & Gaming Con and join over 30 of the UK’s best cosplayer who have qualified for the finals across the year (Full info on that you can read @ www.cosplaychampionship.com ). There will be a chance to win even bigger prizes there. – Cosplay Guests, Talks & Workshops We will have some of the most renowned cosplayers in the UK guest-starring at this year’s event. They will provide talks and workshops throughout the day. Talks vary but last time’s saw A begineers guide, Cosplay on a budget, Cosplay Props & Worbla, Mental Health in Cosplay, Plushie Making, Performing at cons, Steampunk and much more! 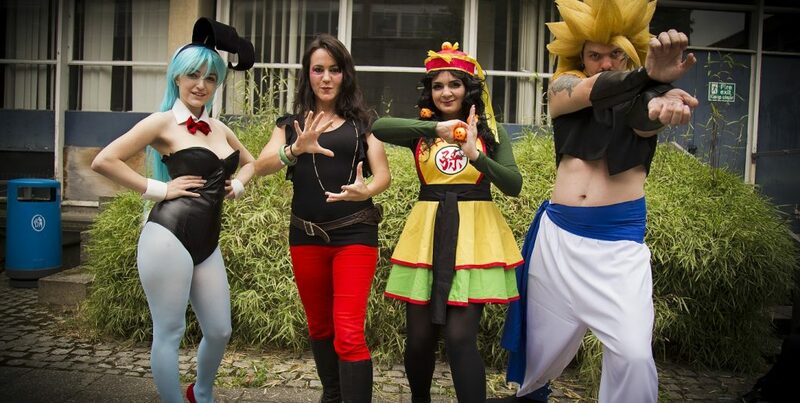 A Fun Time for Cosplayers, involving YOU! – It’s not all about contests and guests. 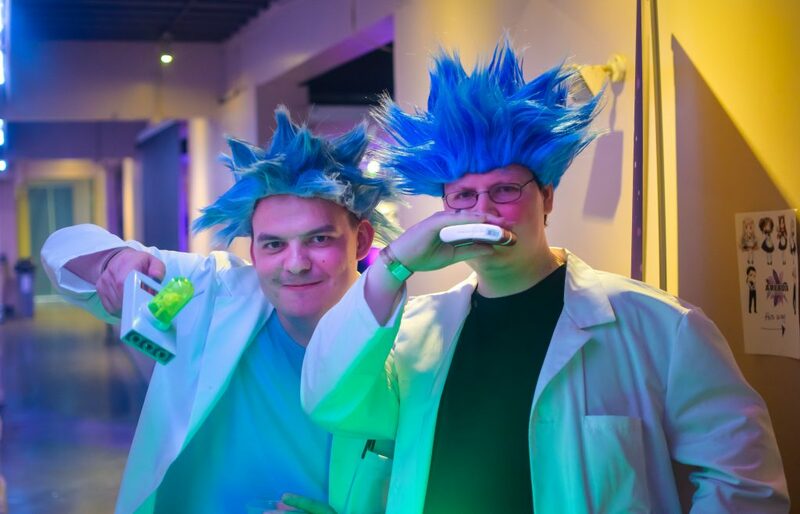 We seek to include everyone, so we have many events to get involved with including the Cosplay Auction where you put yourself up for bid to raise money for Epilepsy Action, events such as the Cosplay Blind-Date and Quickfire Cosplay and much more. From the serious and professional to the fun and silly, our cosplay events have something for everyone. Cosplay Chillout & Photography Area – In addition there will be areas put aside for cosplayers to chillout, to have their photos taken and much more. All in all we seek to give cosplayers an amazingly fun time with many activities and events to make new friends and awesome experiences at! We will have a massive lineup of RPGs and Board Gaming for you. – RPG Scheduled Adventures – Roughly two-hour scheduled adventures (see timetable for details); come along and sign up on the day for any of our games – to be confirmed at a later time. – Pick Up & Play RPGs – Almost a dozen quick and simple drop-in Indie RPGs you can just turn up and play including Microscope, Dogs in the Vineyard, Parsely, Narrative Cage Match, Doctor Magnethands, PreHysteria, Not The Bees! – Board Games include – Bang!, Betrayal at House on the Hill, Carcassonne, Cards Against Humanity, Channel A, Concept, Coup, Dixit, Dungeon Roll, Flame War, Fluxx, Forbidden Island, Hanabi, Love Letter, Munchkin, Pandemic, Sentinels of the Multiverse, Shadow Hunters, Snake Oil, Takenoko, The Resistance and more. We have a massive selection of nearly 100 games to pick from. – TCGing – There will be tournaments with prizes provided throughout both days as well as free-play sessions. Tournaments typically include Yu Gi Oh and Magic the Gathering. The event will feature many gaming setups and 100s of gaming titles available to sit back and play with. Gaming will consist of Tournaments and casual setups as well including PC and Indie Gaming and Modern Consoles and an entire Retro Lounge! Tournaments – Get ready for a fantastic tournaments lineup at Anime & Gaming Con ( All tournaments are free to enter when you buy your entry. 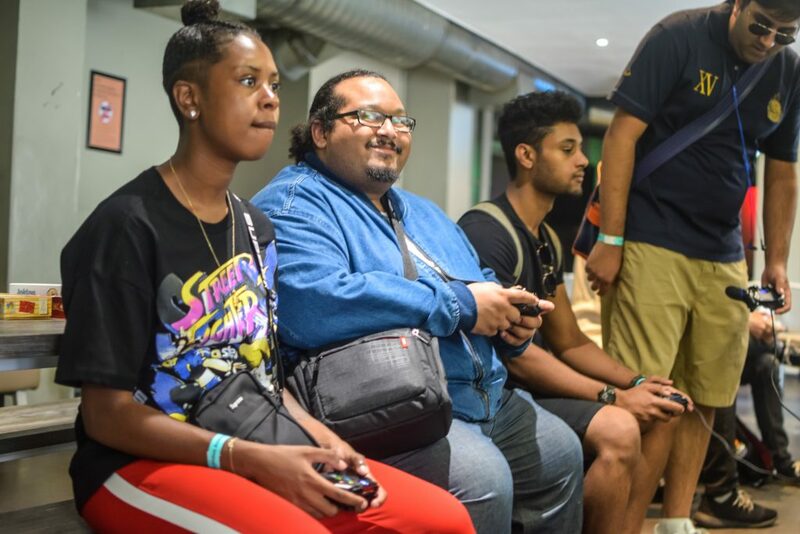 There will be nearly a dozen tournaments featuring a pair of tickets to an Anime & Gaming Con of your choice including favourites such as Smash Ultimate, League of Legends, Overwatch, Fortnite, Shonen Jump Force, Tekken 7, Mario Kart 8 Deluxe and many more. You can read full information on what tournaments are happening and the prizes available when our events timetable is released (Note tournaments as with everything are subject to change; please refer to the published event timetable closer to the time for the exact lineup). Challenges – For the more casual gamer, challenges allow you to pick up and play at anytime – the objective being to beat the fastest time, the highest score etc. Challenges vary from event to event, but previous Anime & Gaming Cons have included challenges on games such as Crash Bandicoot N.Sane Trilogy, Sonic Mania, Mario Kart, DDR, Red Faction Guerilla and more. Retro & Modern Gaming Casual Play – Grab a game from our extensive library, sit down with your friends and have fun! A casual chillout area for gamers by gamers. Also a great place to make friends and become a part of our gaming community. We have everything, consoles include NES, SNES, Megadrive, Master System, Mega CD, Dreamcast, right up to the latest consoles such as Switch, Wii U, Xbox1 and PS4s. There’ll be tonnes of setups to sit down and have some fun with your friends! PC Gaming & Indie Gaming – Featuring the latest games to check out from a variety of developers. We shall be providing some top-end PCs and running some of your favourite PC games. We’ll also be running more retro-pc gaming as well as well known indie games for some good old LAN Gaming! Make sure to come along. **Animeleague Does Go 8 Bit** – our very own adaptation of the popular Go 8 Bit TV gameshow will be heading to the Video Gaming stage on the Saturday. Expect to see some some unusual indie games and win yourself some prizes and clan points! **Retro Game Challenge** – Think you can speed through a Super Mario Bros stage in the quickest time possible, or gobble up all the pellets in a Pac Man maze before your opponent? Join us on Sunday at the gaming stage for a chance to duke it out in a series of retro games and earn some prizes and clan points! **The Big Gaming Quiz** – Returns on Saturday. Get some friends together and enter your team for a chance to win a Â£50 prize! **More to Be Revealed** – We have talks from top youtube gaming guests, gaming musicians, industry, from members of the gaming community and big tournament finals on stage to come! – Talks; As well as cosplay talks mentioned above, there will also be wide range of talks on various subjects such as acting, RPGs and gaming, Comics and anime. – Cosplay Masquerades – See the Cosplay Activities for more information. Not one, but two cosplay masquerades; one on each day with a £100 prize for Sunday’s winner! – Dub That Anime; The aim of this event for those who have never seen it before is to dub a 30 second clip of our choice live on stage. The funnier the better. In fact..think Abridging! This can be done as an individual or group. Lip Sync Battle – Come battle one another with lip sync performances to your favourite tracks on stage. Cosplay Auction – Volunteers go up for bid to the audience, the highest bidder winning the company of that Cosplayer with the proceeds going to charity! Big Geek Adventure – An roleplay adventure on stage played by YOU the audience! Come join Jollyboat on an epic quest. Epic Rap Battles of Anime – Part improv, part prepared, put together your rap and represent your anime character in 1v1 epic rap battles of anime. You can signup on the day or beforehand. Anime Bingo – It’s bingo, but with anime and gaming character heads on your card instead of numbers! Test your anime knowledge and luck with a £30 cash prize for the winner! – Big Geek Quiz – Various rounds on both anime and other more general subjects over five rounds. Get some friends together, make your own quiz team, and join in the fun. We guarantee a good time and much randomness! £50 cash prize to the winning team! – Big Geek Raffle – For just £1 for a ticket compete in a raffle where £100s of pounds worth of prizes are up for stake! – Even more events to be confirmed! Make sure to check out the timetable one month before the event when it is released. 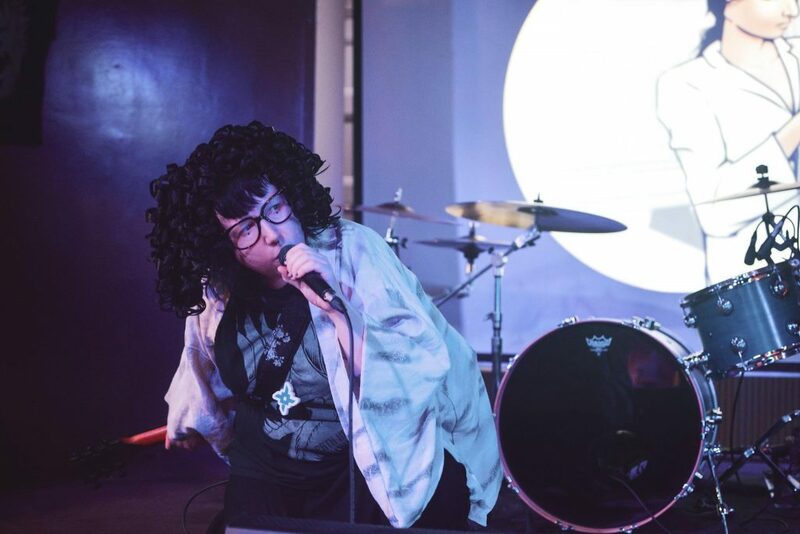 London Anime & Gaming Con features a strong music and entertainment focus, showing off popular J-pop performers, upcoming bands and performers throughout the event. Expect major announcements closer to the time! We ARE the party convention! Your ticket includes, free of charge, access to all the parties and late-night events up until midnight on Saturday and Sunday (Same venue). 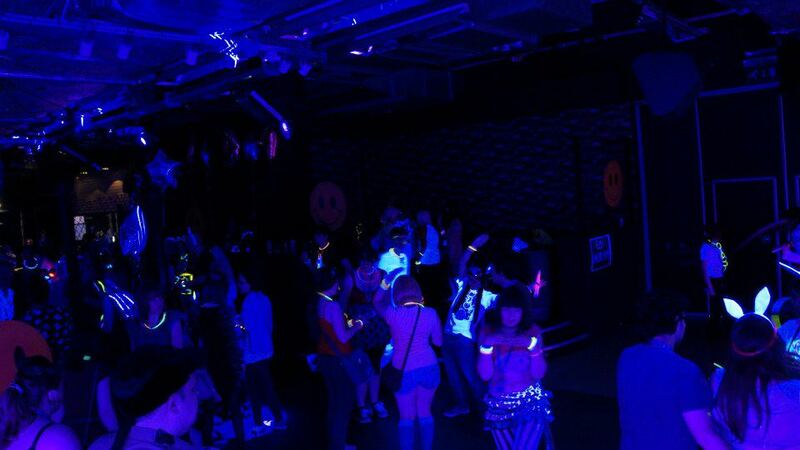 The parties shall feature Free Glowsticks and fun and geeky shenanigans through to getting on midnight. Parties include karaoke earlier on followed everything from geeky to cheesy to all your best tunes.